After working with some of the best venture capitalists, wealth managers and startup executives, we’ve noticed a pattern that makes them successful: top players do not drop important relationships. Sadly, creating these spreadsheets demand excessive time and energy, and the databases quickly grow disorganized and unreadable. 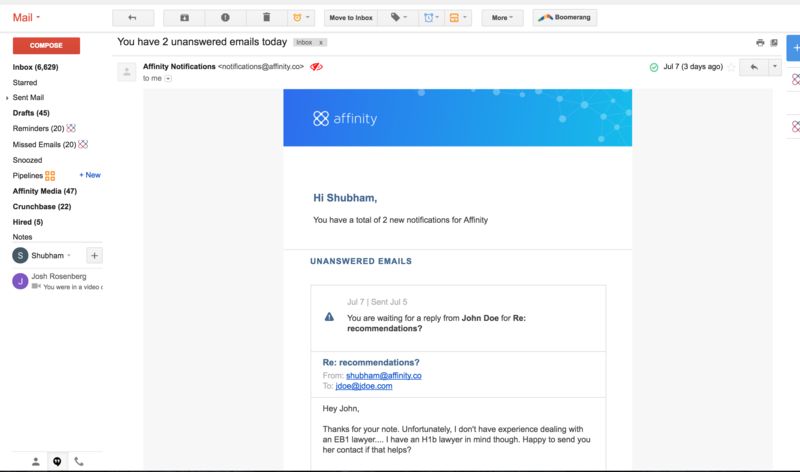 Affinity solves this problem by using email, calendar, and third-party integrations to automatically generate databases with pertinent details related to the user’s relationships. The system even identifies opportunities that should be tracked, eliminating the need for manual entry. Here is a sample view. What’s worse than a nightmare? Waking up in the middle of the night to realize days have passed and you’ve forgotten to respond to one of your potential opportunities. Unfortunately, with today’s connectedness, our inboxes are flooded, yet there is rarely an excuse for leaving an important email unanswered. Too often relationships deteriorate because we forget to check-in with our contacts on a regular basis. People try to solve this problem by identifying key opportunities and setting reminders to touch base. However, most of our communication is not based on a rigid schedule, and so we talk to our contacts at will. When we are alerted to reach out to someone who we’ve communicated with recently, the reminders begin to feel meaningless and we will ignore them on the whole. Despite the reminders, contacts are inevitably lost. Affinity has seen this failure so regularly that we developed a system that automatically reminds users to check-in only when there has been a lag in communication with a key contact! 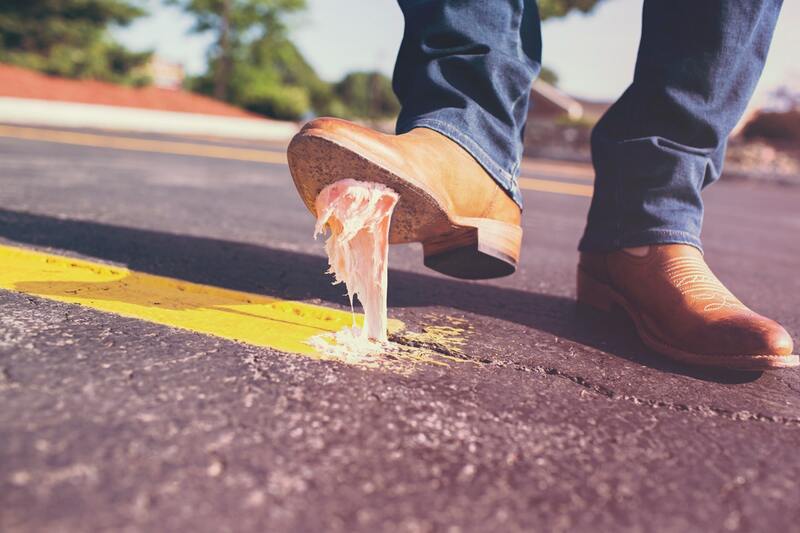 We hope this post helps you identify potential areas where you are at risk of dropping important relationships. If you are interested in checking out any of Affinity’s relationship-saving features highlighted above, please sign up for a demo here.